Properly crafted extracts begin with a seed, but not all cannabis is created equal. 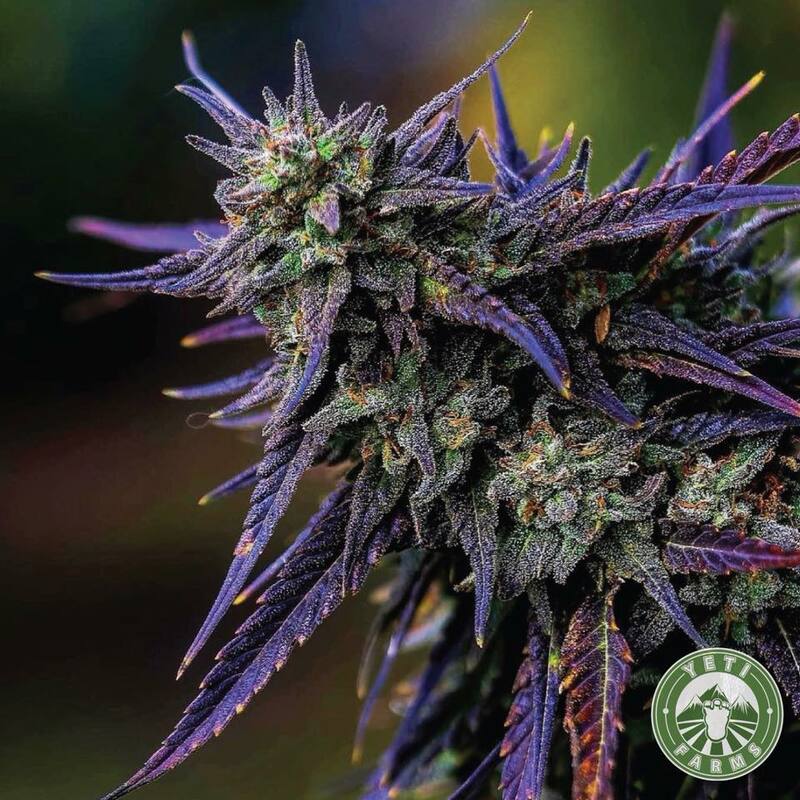 There are literally hundreds of methods, techniques and tricks to cultivating cannabis. The Yeti Farms way may not be the quickest way, but we didn’t get into this industry to cut corners. While most extract companies cultivate cannabis indoors, Yeti Farms is an anomaly in the Colorado cannabis market. Our extracts begin with sun-grown cannabis and a whole lot of love and care. Indoor cultivation essentially mimics an outdoor environment. Artificial light, regulated temperatures, controlled humidity and measured CO2 levels—all the things that mother nature provides for us. 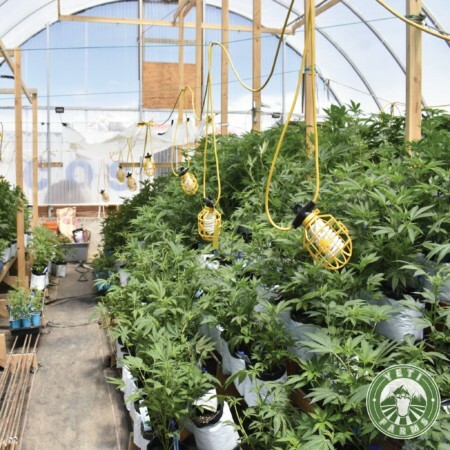 At Yeti Farms, we believe in the resilience of the cannabis plant and its ability to not only thrive in an outdoor environment, but also produce stronger terpene profiles and a wider spectrum of cannabinoids. We’ve gone back to our farming roots to bring you the best damn dab in the west. Here at Yeti Farms, we find that it’s important to continually evolve our strain library by introducing new, cutting-edge genetics each season. Who’s ready for Pineapple Trainwreck? We’re also continuing the legacy of some of our most beloved and highest performing genetics, like Jack Herer and Orange Crush. There are two primary ways to breed cannabis: sexual reproduction and asexual reproduction. Sexual reproduction refers to the process of crossing a male and female plant through pollination to produce seeds, which can then be planted to form genetic hybrids of two parent plants. Asexual reproduction refers to cloning cannabis plants—a process that Yeti Farms has perfected. We believe that cloning is a cost-effective alternative to popping seeds, and a way to preserve our garden’s sustainability and powerhouse genetics. After examining which plants have the most desirable features in terms of flavor, cannabinoid profile, yield and grow time, we select those strains for cloning. For the process of cloning via plant tissue culture, we begin by clipping plant material and sterilizing it to prevent tissue damage and ensure ideal regeneration. The sterile plant material is then introduced to either a solid or liquid media, comprised of organic nutrients, vitamins and plant hormones. As the culture grows and shoots begin to emerge, they’re sliced off and rooted to produce plantlets which, when mature, can be transferred to soil for further growth in our greenhouse. While different growers have various methods for vegging cannabis plants, we prefer to veg our ladies in a controlled greenhouse environment. During the vegetative cycle, our cannabis is kept under a natural and supplemental light schedule to achieve optimal growth. By dialing in a strict light schedule for our plants, they’re equipped to take advantage of their resources in full and develop large, healthy leaves and sizeable stalks. Within the veg phase, it’s imperative to keep the plants in an extremely clean and regulated environment, free of pests. From clones to harvest, Yeti Farms uses 100% organic live soil to support growth. Our plants are grown in native, compost blended organic soil media and receive only pH balanced water, sourced from Yeti Farms’ local Rocky Mountain water well. Multiple doses of organic teas are added to the mix, and our ladies grow healthily & happy. We believe live soil is the future of cannabis farming. Yeti Farms preparing the soil for cannabis cultivation. The secret’s in the soil, folks. 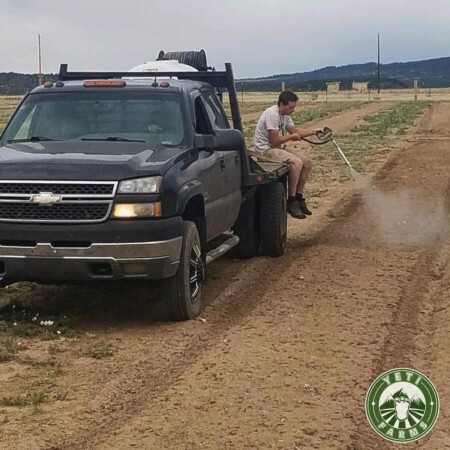 Finalizing field prep for the flowering stage consists of applying a USDA organic mineral supplement to the soil and a Bokashi compost blend. 100% live soil. No till. We’re also adding a few thousand earthworms to help breakdown organic material that the cannabis plants can use—nature’s living fertilizer. Our medical & recreational garden is comprised of over 3,000 cannabis plants, a significant increase from last year’s harvest.